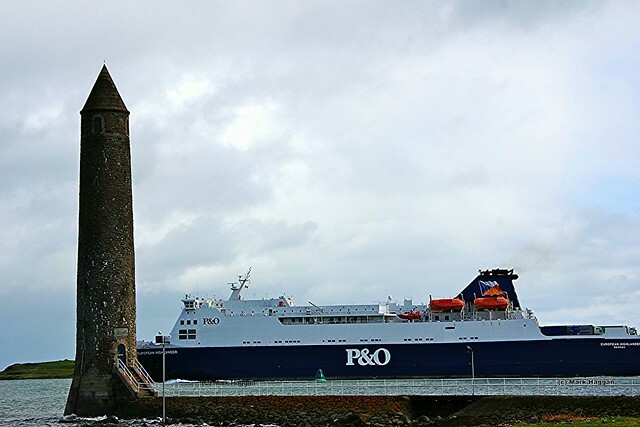 I mentioned recently about the MV Princess Victoria ferry disaster, and commented at the time on how I am reminded of it each time I sail to or from Larne, and it made me think about some of the other ferry crossings that I have had the pleasure to experience. A couple of the more interesting journeys come to mind. The first was in Laos. 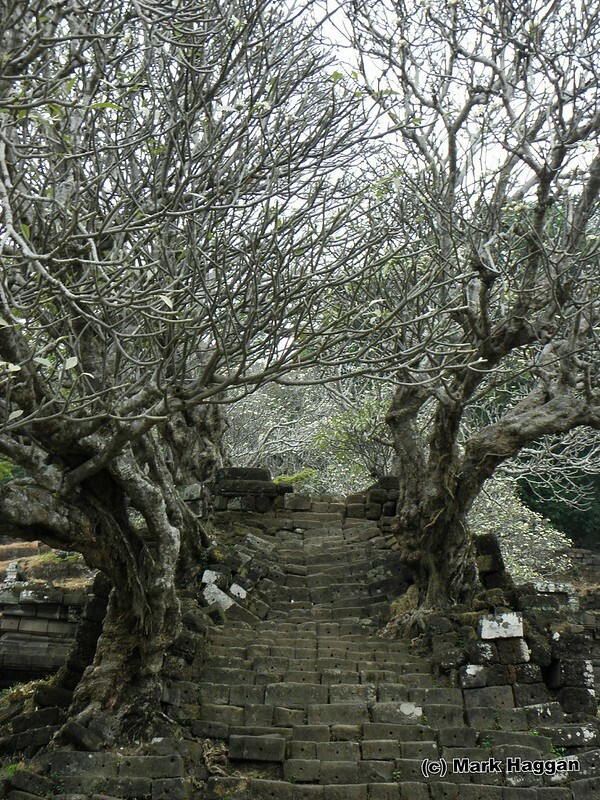 We were on our way to Wat Phu, an impressive temple complex in the south of the country. 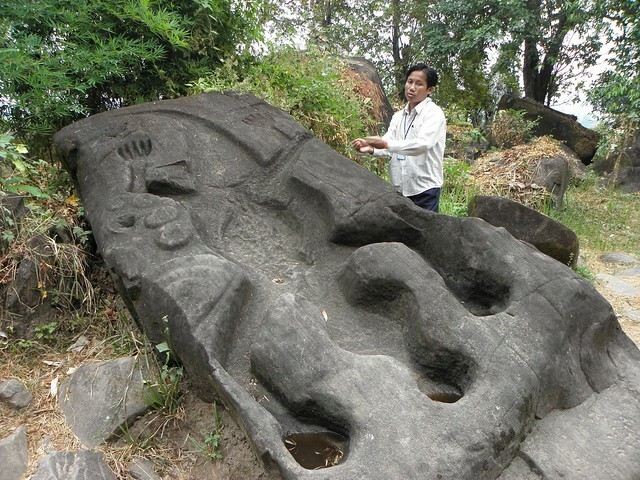 Work to clear ordinances from the Vietnam War – Laos was heavily bombed by the US – has not long finished, and archeologists are exploring the site. 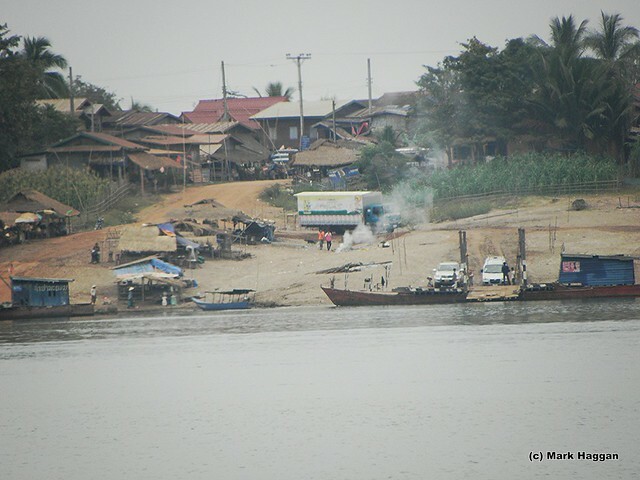 Getting there, though, meant crossing the mighty Mekong. 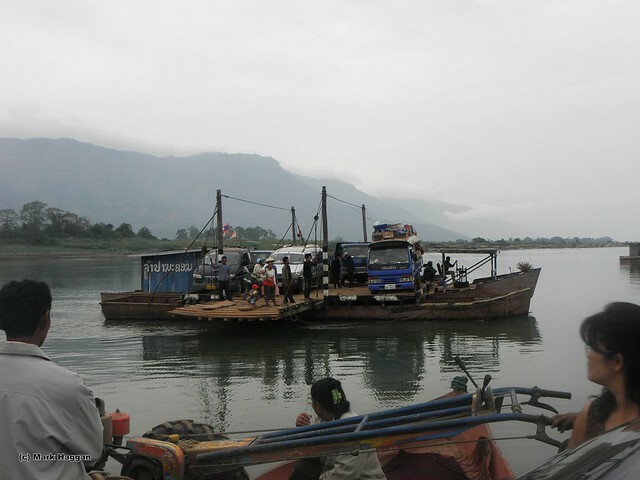 The ferry was a series of small boats with bits of wood and pallets strung across the top to make an area for vehicles. We watched some arrive and leave, and then drove on to the next crossing. On board the ferry, the locals seemed more amused by my general size and appearance. It’s fair to say that I was the largest person on the ferry, or on any of the ferries that we could see. By quite a long way. I was definitely a subject of great interest. When we managed to cross the river, we firstly breathed a sigh of relief. The crossing seemed fine all of the way, but we did spot that perhaps these vessels would not quite meet all of the relevant European health & safety regulations. 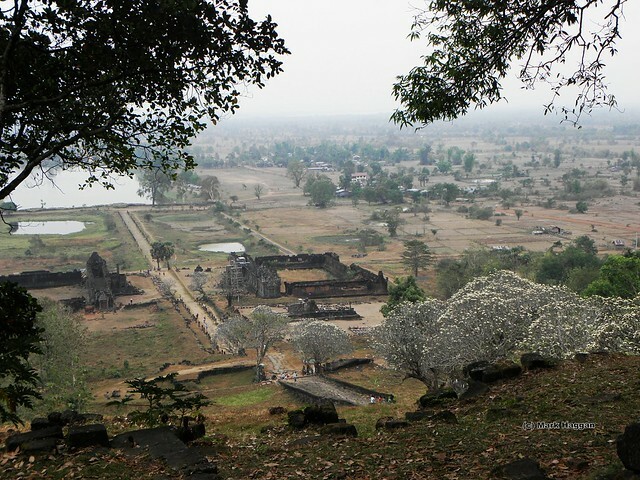 Next, we saw Wat Phu. It was quite an amazing sight. 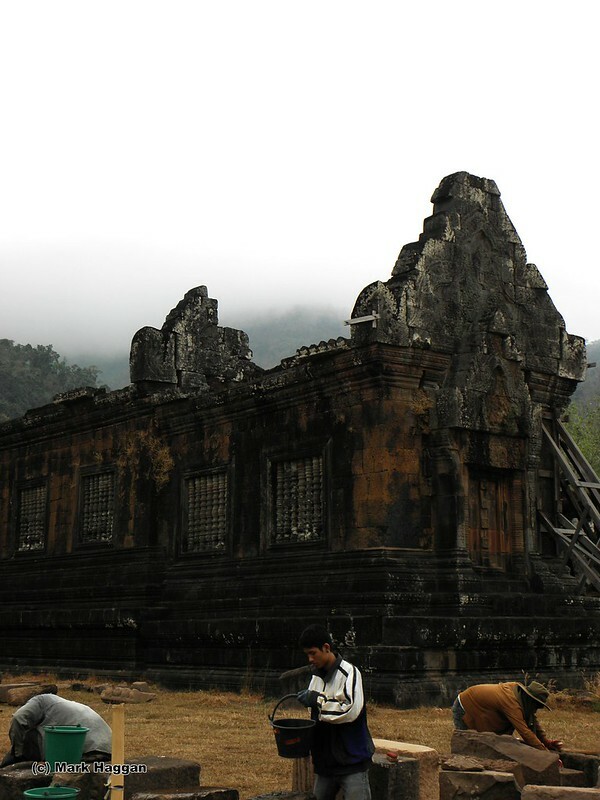 We had spent some time in neighbouring Cambodia, including time exploring the various Khmer temples in the vicinity of Siem Reap, like Angkor Wat, Ta Prohm and Angkor Thom, but there was something special about the relative isolation and emptiness of Wat Phu. Chillingly, it contained a place of human sacrifice. The stories of the sacrifice were explained to us. It seemed particularly disturbing given the otherwise tranquil nature of our surroundings. 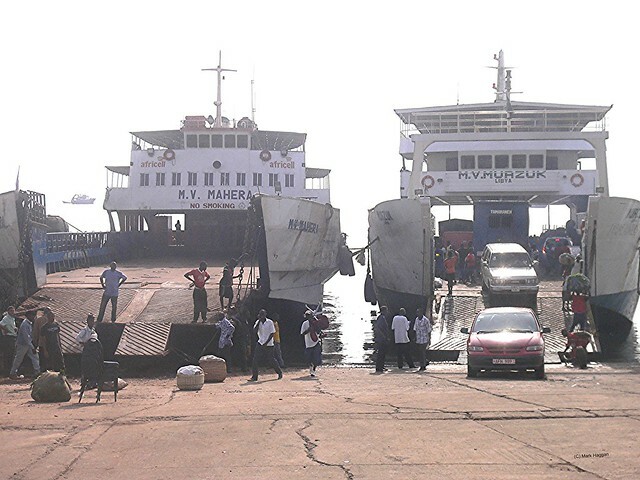 Another “interesting” ferry crossing was in Sierra Leone. 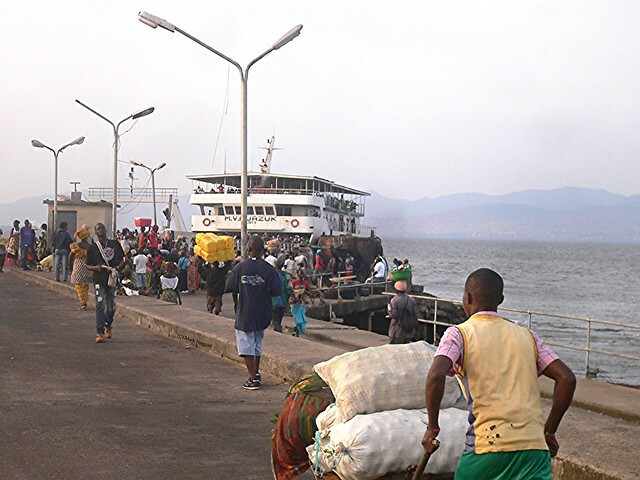 The airport for Freetown, the capital, is actually at Lunghi, a nearby peninsular. To get there from the city, travelers are faced with the options of helicopter, fast boat or a more traditional ferry. Each has it’s pros and cons, including relative safety considerations. On a particular trip, we decided to get the ferry. 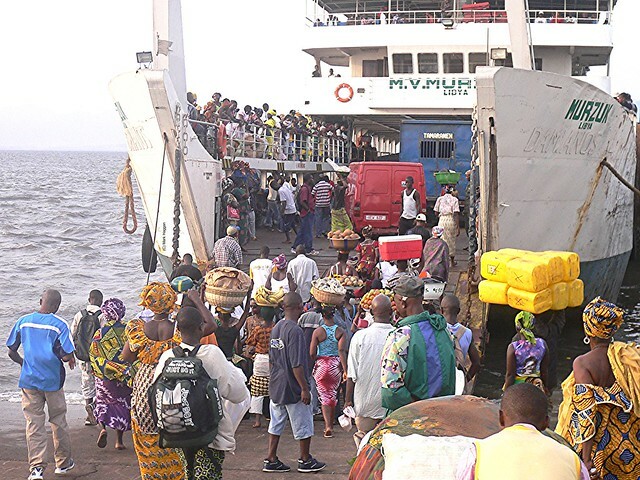 The MV Murzuk was a Libyan registered ship, which travelled back and forward between Lunghi and Freetown itself. We boarded the ship, and prepared for the sailing. We went upstairs to the cabin, and found that there was some onboard entertainment for the short crossing. It was a karaoke DVD, and although nobody was singing along, we could listen and watch the music videos, complete with lyrics. The chosen artist? Celine Dion. You know what’s coming… the tracks included My Heart Will Go On, the theme from James Cameron’s film, Titanic. It seemed quite remarkable that, of all the music that they could have chosen, whoever was responsible for the onboard entertainment managed to choose one of the most inappropriate options. 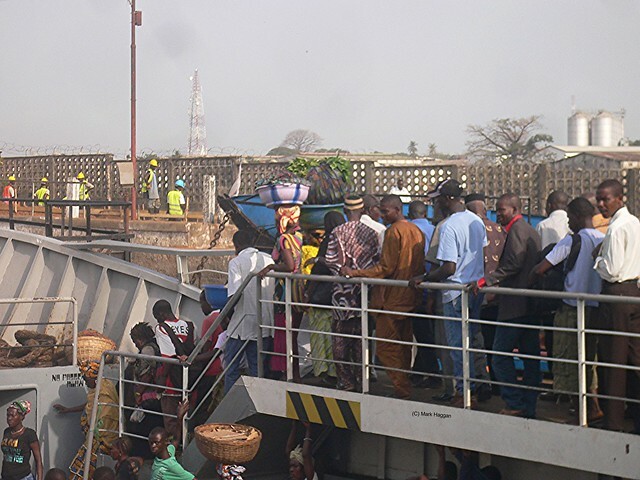 When we got to Freetown, we were, like in Laos, quite pleased to be disembarking. 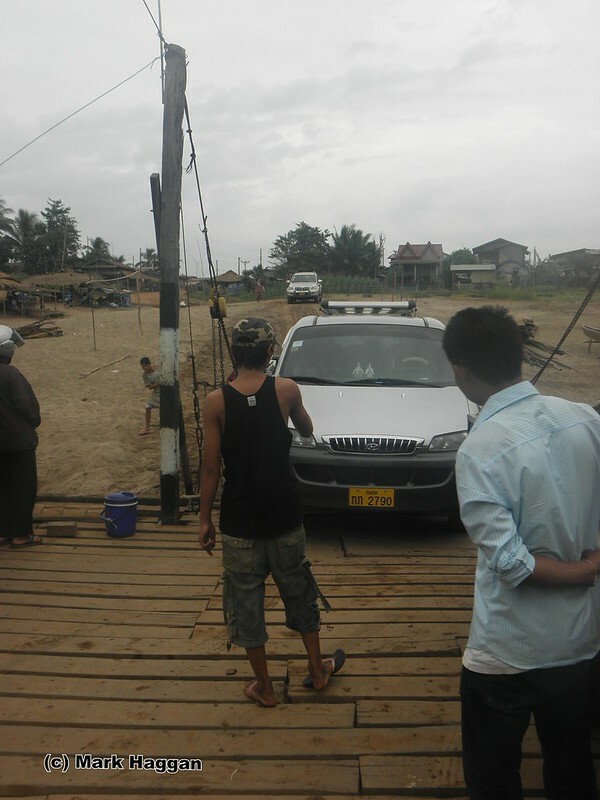 The crossing was fine, calm and without incident, other than the music choice. 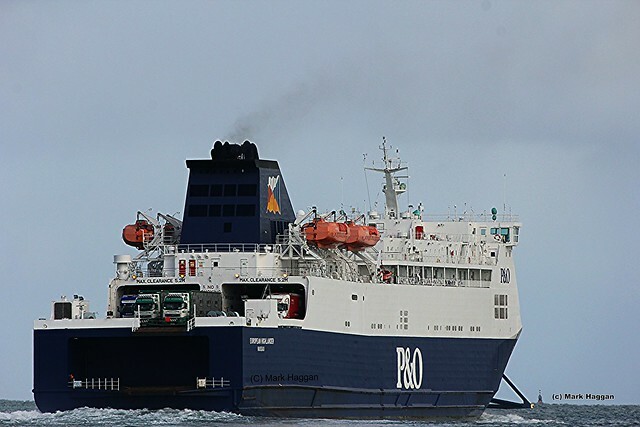 All in all, the ferry crossing from Cairnryan to Larne seems tame and reliable, even when crossing the frequently stormy Irish Sea, in comparison to some of these others. Of course, among the times in life that you want something to be “tame and reliable”, being on a ferry is one of them. 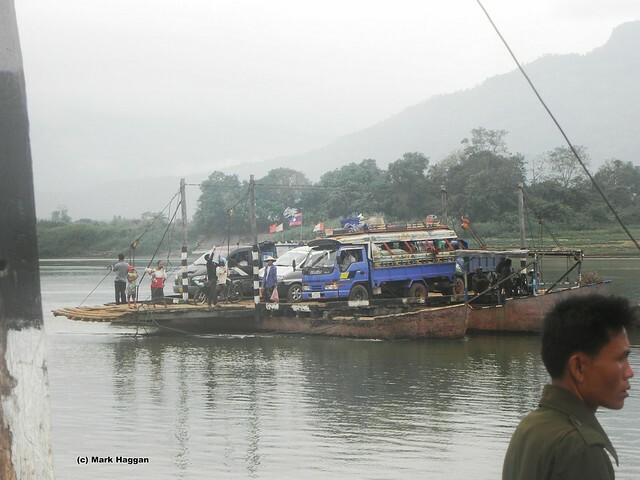 Africa, Asia, Travel Africa, Asia, Cairnryan, Ferry, Laos, Larne, Sierra Leone, Travel. permalink. I’m having a bad day. Or maybe a good one.